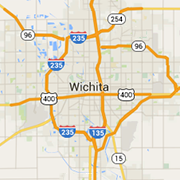 Check out these Wichita area body shops for your automotive needs including collision repairs, dent removal, auto paint, mechanical issues and more. Specializing in the return of damaged automobiles to their pre-loss condition. Our trained and certified technicians use state-of-the-art equipment to achieve that goal.